Well.ca has a one day coupon today! 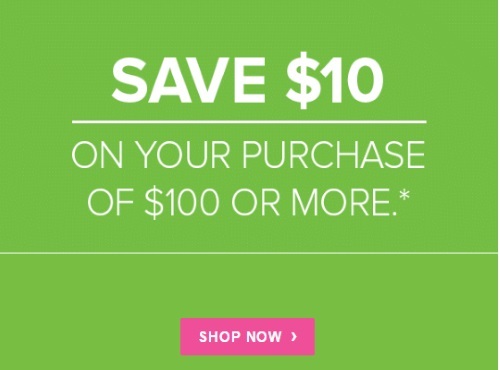 Save $10 off any purchase of $100 or more! Coupons are not valid on disposable diapers, baby formula, Britax, UPPAbaby, Peg Perego, KidKraft, Beaba, ezpz, BOB, Baby Jogger, Clek, DockATot, Bugaboo, 4Moms, Diono, Applecheeks & gift certificates (other exclusions may apply). Enter the promo code 1DAYDEAL at checkout. Offer is valid today only, Wednesday, May 17 2017.